Odisha is an Eastern Indian state and very rich in wildlife. 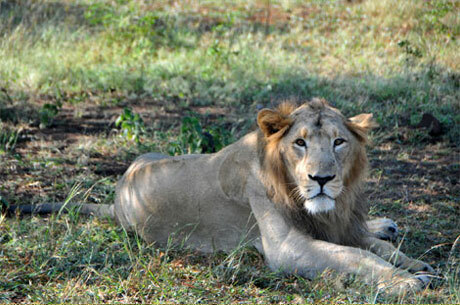 This trip can also be called as Odisha Wildlife Tour. 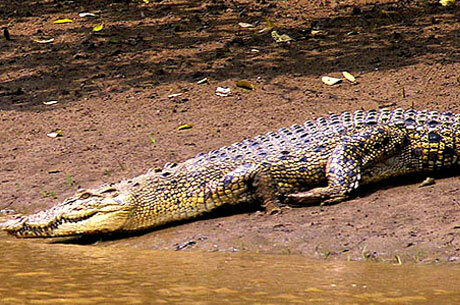 During this Western Indian Wildlife tour, a tourist can see crocodile breeding farm, Royal Bengal Tiger and waterfalls in Simlipal National Park. In Kuldiha Wildlife Sanctuary, wildlife enthusiasts will se Gaur, Sambhar, birds and various reptiles. The major attraction of this Indian Wildlife Travel is Bhitarkanika Wildlife Sanctuary and the beaches at Gahirmatha as here one will see Olive Ridley Turtle Nesting Site. Gahirmatha is the best place to see Olive Ridley Turtles in India. Sometime, we see dolphins in the sea near to Ekkakula Island located in the Bay of Bengal. Apart from this, Chilika Lake is a great site to see many birds as it is spread in 1100 SQ KMS area and is largest slat lake of Asia. Arrive at Kolkata international airport, you will be assisted by our representative and transferred to the hotel. In time, transfer to the station to board the train to Balasore. Arrive at Balasore station and drive to Simlipal National Park. Later, take a nature walk and do the nature study in Herbal Nursery. 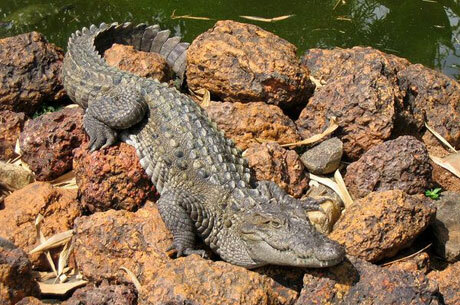 Also take a tour of Crocodile Breeding Farm. Have breakfast at the jungle lodge. Later, visit Barehipani and Joranda Waterfalls and enjoy the jeep safari to see the various wild animals. Post breakfast drive to Panchlingeshwar located at Nilagiri Hills. Arrive and check in to the jungle lodge. Later, visit Kuldiha Wildlife Sanctuary spread in 272 sq. KMS area. 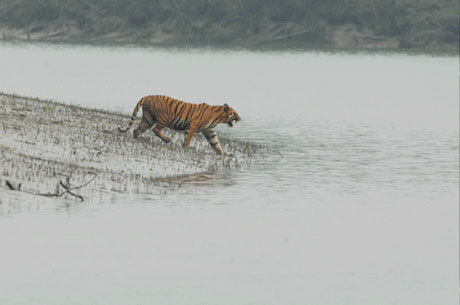 It has got the wide varieties of wild animals including tiger, Sambhar, gaur, reptiles and various birds. Have breakfast and drive towards Chandbali through Bhadrak. Arrive at Chandbali and take the motorboat cruise for Dangamal Island. Arrive at Dangamal and check in to the forest guest house. After having breakfast at Dangamal proceed further to Bird Island. Here observe different varieties thousands of Indian and migratory birds. Take the cruise till Bhitarkanika Island. Arrive at Bhitarkanika and check in to the jungle lodge. Today, take again the motorboat towards Ekkakula Island located in the Bay of Bengal. It is an unknown and an un-spoilt island having a magnificent sunset view. Here track the wild boars, jackals and hyenas. Sometimes you may also spot dolphins in the sea. Later, visit the Olive Ridley Turtle Nesting Site located on the beach in Gahirmatha. After visit, drive to Bhubaneshwar and check in to the hotel. In the morning, leave Bhubaneshwar for Nandankanan Zoo situated in Chandaka Forest along with Kanjia Lake. Nandankanan Zoo has very rich wildlife including white tiger, birds, Reptiles, Gharial, Crocodiles and Black Panthers. Here take the white tiger safari and visit Botanical Garden. Later, return back to Bhubaneshwar to stay in the hotel. After having early breakfast, transfer to Chilika Lake spread in an area of 1100 sq. KMS. It is the biggest salty water lake of Asia and has thousands of different birds. Arrive at Chilika and check in to the resort at Barkul. Later, cruise over Chilika Lake through motor launch spotting various bird species. Have leisurely breakfast and take a tour of Nirmala Jhar temple, Banpur and Narayani temple. Later, transfer to Bhubaneshwar airport to catch the flight to onward destination. The tour ends.